This Great Wall hike is similar to Route 1B, but rather than starting in the morning, you will be picked up from your hotel at 2pm, arriving at the Jiankou Great Wall later in the afternoon. Jiankou is renowned for its dramatic ruins and is a prime example of the unrestored “wild wall”. Midway through your hike you'll cross over into the Great Wall at Mutianyu, a prime piece of restored Great Wall which bends and twists over the countryside. 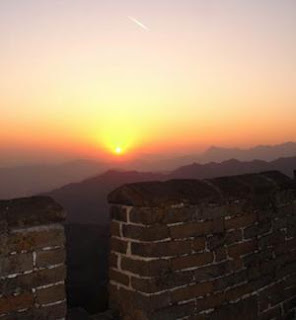 From Mutianyu, you will have the chance to witness the gorgeous sunset that will drape itself over the wall, so make sure you have your cameras ready! As this hike starts later in the day you'll be able to escape the heat, making this trip suitable for all ages.